March 29th, 2019 – East Coast based death metal act A Wake In Providence have released their first full length record ‘The Blvck Sun || The Blood Moon’ releasing on all platforms via Outerloop Records/Cooking Vinyl. The record is an example of close to two years of work and fine tuning, and it shines through on the entire product. The entire album is a heavy, pummeling powerhouse of a deathcore record- a piece that can truly throw around its weight with any of its contemporaries. The record has guest features from genre heavy weights CJ McMahon (Thy Art Is Murder) and Mark Poida (Aversions Crown), further cementing the work’s place in the industry. A Wake In Providence have created a bitter, twisted and mean body of work that demands your attention, and ‘The Blvck Sun || The Blood Moon’ is their most stunning example of that. 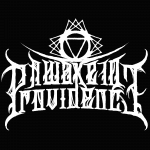 A Wake in Providence is a technical-deathcore band hailing from across the eastern seaboard, with members spread from Massachusetts to Florida. Formed in 2010, the band currently consists of founding member D’Andre Tyre on guitar and clean vocals, Jordan Felion on guitar, and the band’s new lead vocalist, Adam Mercer. AWIP has kept themselves busy for the last few years, having signed with Outerloop Management in 2016 and releasing the pummeling single “Iconoclast”. In 2017, the connection with Outerloop deepened, with the band penning a record deal with Outerloop Records, re-releasing an updated version of their debut record ‘Insidious’ and releasing the single “A Darkened Gospel”; the band’s most acclaimed single to date. AWIP has been featured in numerous prominent news outlets, ranging from Lambgoat to MetalSucks to being featured on The Jasta Show. The band spent 2018 in the studio, working tirelessly to produce this record; something their bound and determined to take over the death metal world with.